I feel like the C-word is off limits this year – that people want to say it, but it has somehow become taboo. For clarity’s sake, however, I will state that I’m referring to Christmas, not any other c-words! And with Christmas comes holidays – to visit families, to visit friends, to sit at the beach and relax, and basically do whatever you want! 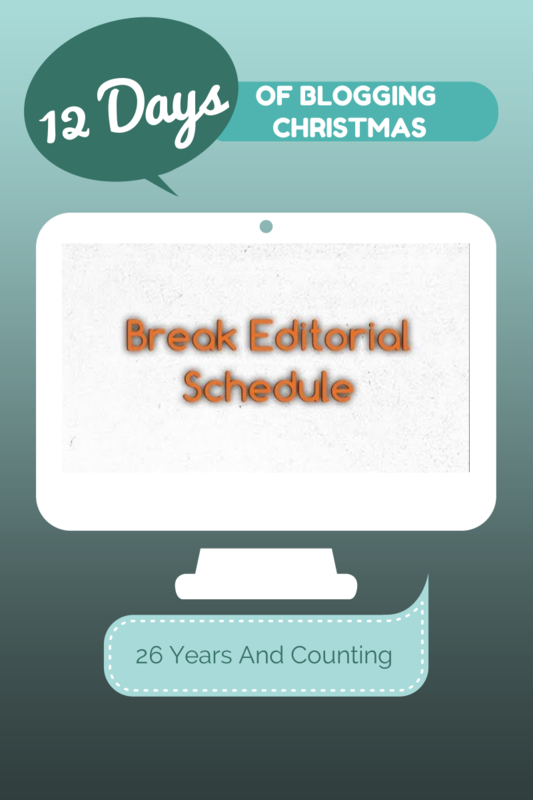 But if you’re a blogger, you don’t always want to take a break from blogging. At the same time, you don’t want to spend a holiday strapped to your computer. Here is where some advance planning helps! If you usually blog daily (or close to), then start trying to write an extra post when you sit down to blog. You can then schedule this for days when you know you’ll be travelling or occupied with family. It’s always handy to keep a couple of blog posts in your drafts folder. If you don’t blog to an editorial calendar, then you always have something ready to go. It’s not too much of an interruption to holidays to quickly log in, check the post and hit publish. Then you can get back to your holiday/family/food fight. If you’re getting stuck for ideas, try reaching out to fellow bloggers or readers via Twitter (or Facebook or Pinterest or whatever social media you like) and ask if anyone is interested in being interviewed. I actually need to do this myself, I want to start my guest interview series up again! While others can guest post on your blog, other bloggers going on holiday often ask for guest post submissions on their blogs over this time. This is a great opportunity to share you blog with a new audience and make new friends (and hopefully readers). 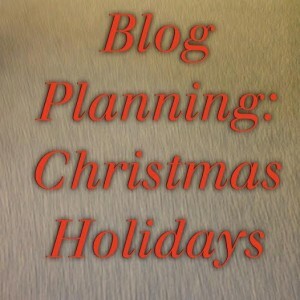 What tactics do you use to keep your blog going over busy periods of time? And feel free to contact me if you want to be part of my interview series! I feel the same – I just uploaded my Christmas fb header and included an apology for being so early! The dis-heartening thing I find, is that not many people have time for reading blogs over the Christmas break, so it kinda feels a waste to blog anything magically wonderful and amaze-balls at that time of year!! It’s hard to guess really – I mean people do have more time off work traditionally but I guess they’re out spending it with people, rather than online. I try and wait to December before anything too Christmas. I also have friends that for one reason or another don’t celebrate Christmas as such so try not to go too overboard. I’m always amazed how early Christmas stuff makes it to the shops! I’ve heard it’s not as bad in the US because Thanksgiving breaks it up.